262/365. We Got The Beet! (TM). i am so loving the spicy beets with grassmilk yogurt and caraway sauce i made yesterday. i took it to work and got generally positive reviews and quite a few usage suggestions. 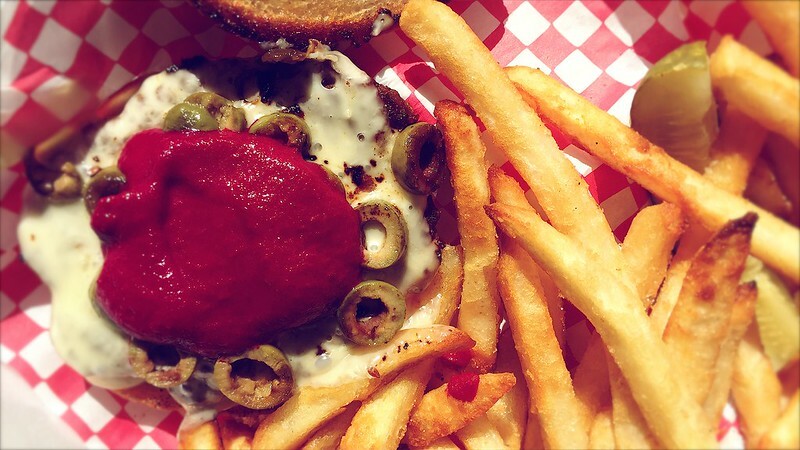 it totally works as a topping for a burger ( in this case, an olive and swiss ). and yes, you can also dunk it in fries. although it can be eaten and enjoyed all by itself as a savory yogurt, it’s really a multifunctional, vaguely mediterranean, spicy sauce analogous to sriracha sauce. the possibilities are endless. 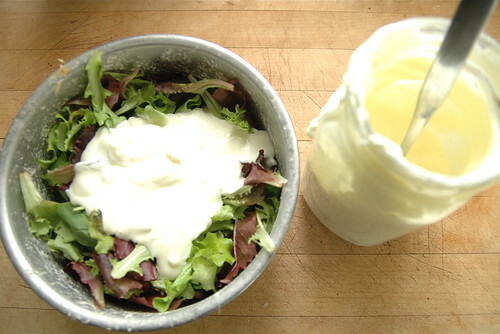 cut it with some olive oil for a spicy beet yogurt vinaigrette. 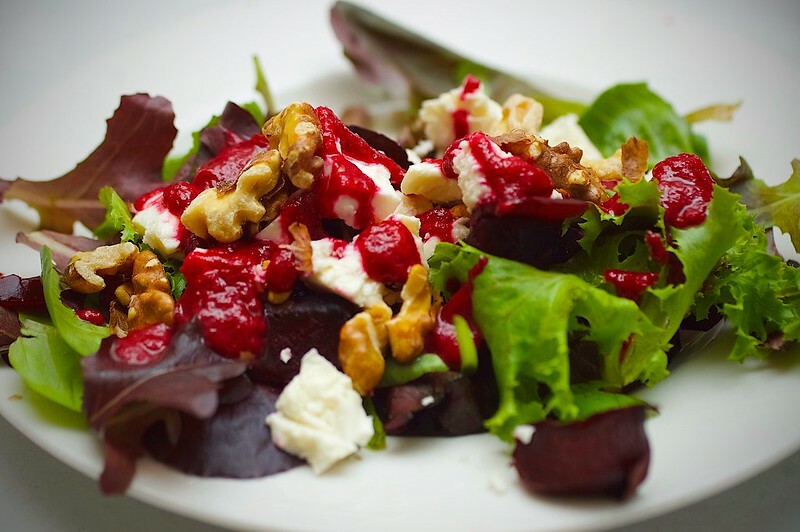 it was lovely on a roasted beet salad with feta cheese and toasted walnuts. 261/365. 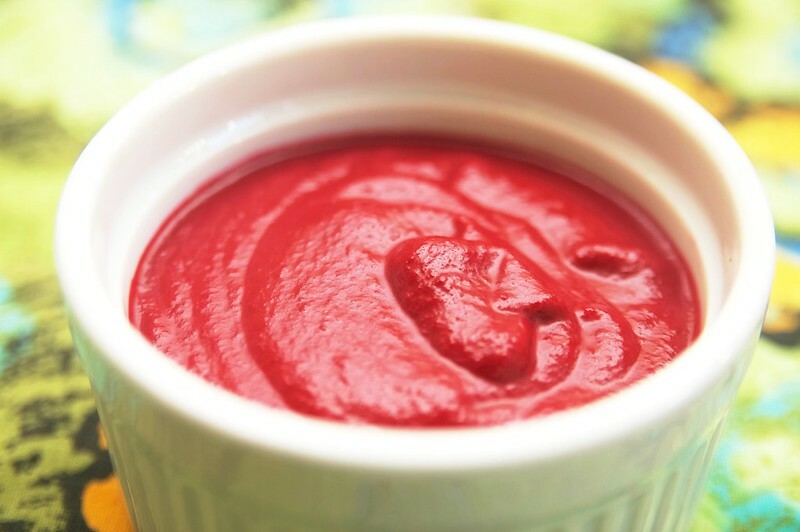 recipe: spicy pureed beets with grassmilk yogurt and caraway. i found this puréed beets with yogurt and caraway by martha rose schulman and thought i’d give it a try with organic valley’s new 100% grass-fed, cream on top grassmilk yogurt. i wasn’t sure what to expect, but it’s really, really good! i think it works all by itself as a savory/spicy yogurt but would also pair well with lamp or pork as a condiment in addition to eating with warm pita bread as martha rose schulman suggests. if you end up making let me know what you think and if you ate it standalone or as a condiment. don’t skip the ground caraway! it really brings in unique element to the recipe. – add agave nectar or light corn syrup, olive oil, ground caraway, cayenne and salt to taste. – continue to blend until well mixed. 208/365. 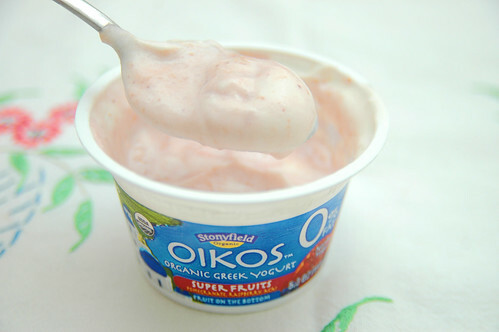 odin’s new favorite yogurt is heading to stores near you. 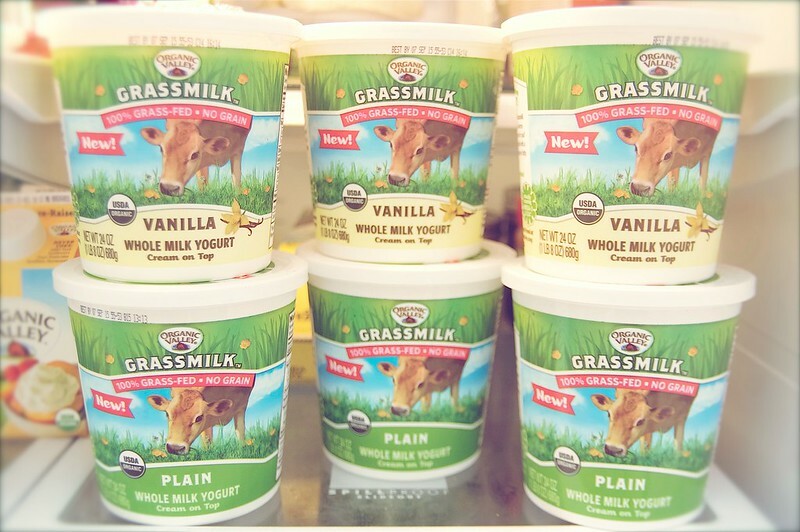 i was proud to be part of the launch of organic valley’s 100% grass-fed, non-homogenized grassmilk in 2012 and have been even prouder to watch it grow in popularity ( if told me 10 years ago that i’d get interviewed by the wall street journal over milk, i’d have thought you were crazy. ). i couldn’t be prouder of the product team who knocked it out of the park in developing a stellar product and the farmers and the cows for providing delicious, 100% grass-fed milk. preparing breakfast for The Girls. 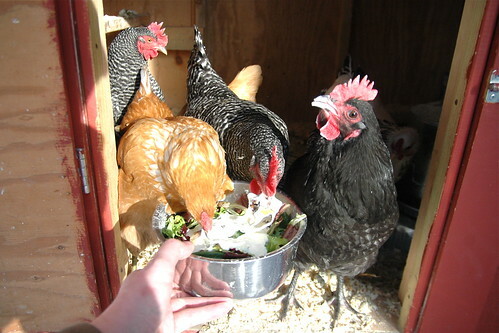 while it’s true that chickens are not particularly picky about what they eat, we have discovered that they do certainly have preferences and The Girls are quite fond of salad greens and yogurt ( all organic of course ). the salad greens are great because the’re nutritious and they help maintain the deep orange color of their yolks. there is some debate about feeding yogurt to chickens since they are lactose intolerant, but others say yogurt with live cultures is just fine since the probiotics break down the lactose and the benefits of probiotic cultures on the chickens gastrointestinal tract outweighs the risk of lactose intolerance ( diarrhea ). i’ve never noticed any runny poop or other effects after giving them yogurt, but i really have no idea if the probiotics in the yogurt is actually helping them. all i know is they lurve the yogurt! and when i say they loooooooooove it, i mean They Love It. as in, even after i bring them their regular chicken feed, they keep looking at me likem, “hey, seriously, are you bringing us the good stuff?” and when i do bring it out they don’t even wait for me to put it down before they start diving it ( there is a full fresh tray of chicken feed behind them in this photo ). although i don’t know for sure if the probiotics are helping them, i do know The Girl who was feeling under the weather recovered relatively quickly and didn’t die ( which is what many people who have chickens privately told me was probably going to happen ).